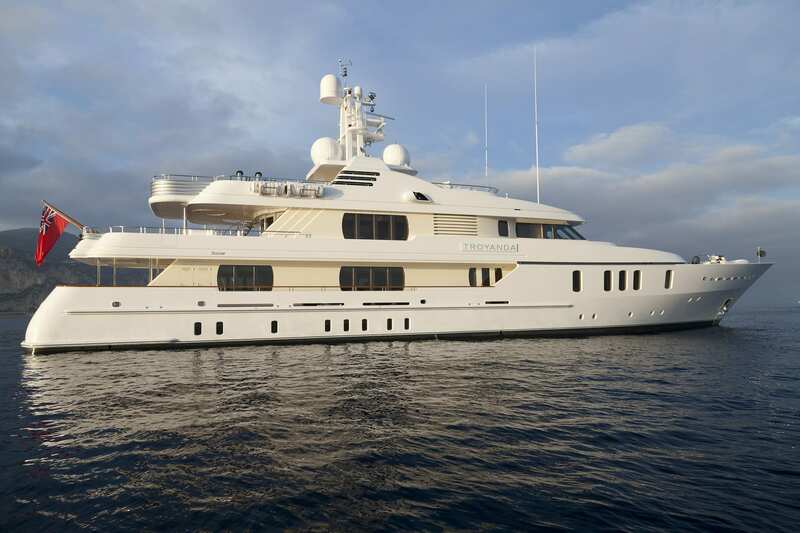 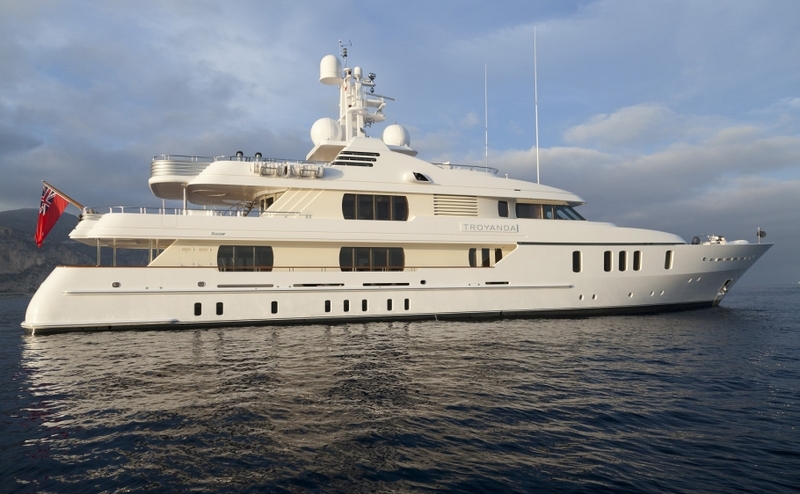 Motor yacht HANIKON is a 50m Feadship superyacht available for luxury crewed yacht charter in the Mediterranean (France, Italy, Greece) and the Caribbean. 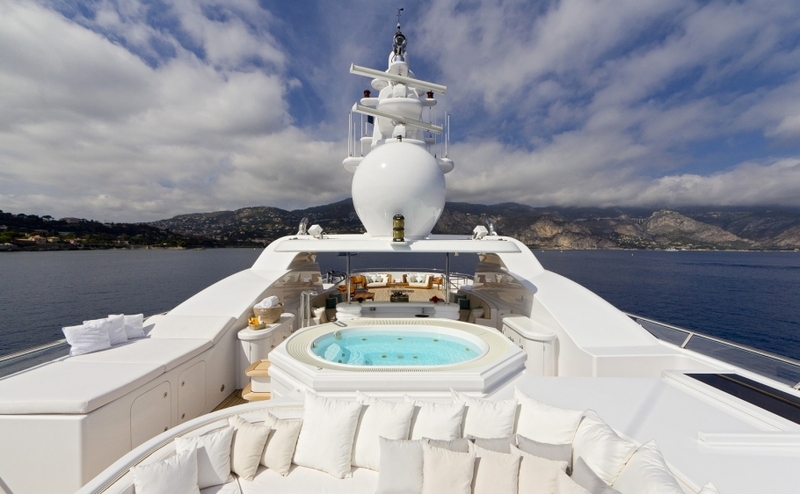 For upto twelve guests in five ensuite cabins and one convertible Masseuses room with two pullmans and ensuite. All accommodation is fully air-conditioned. 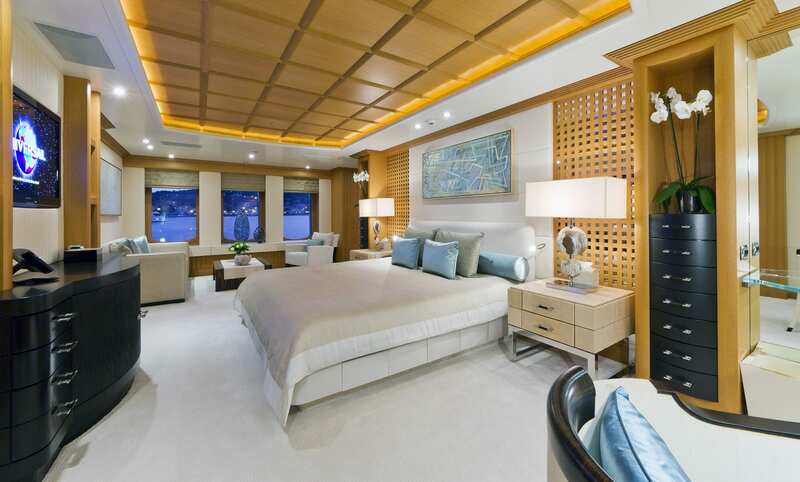 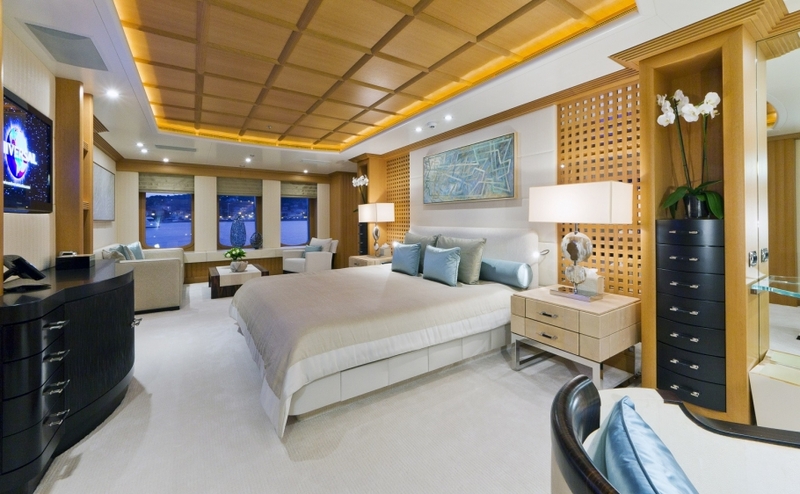 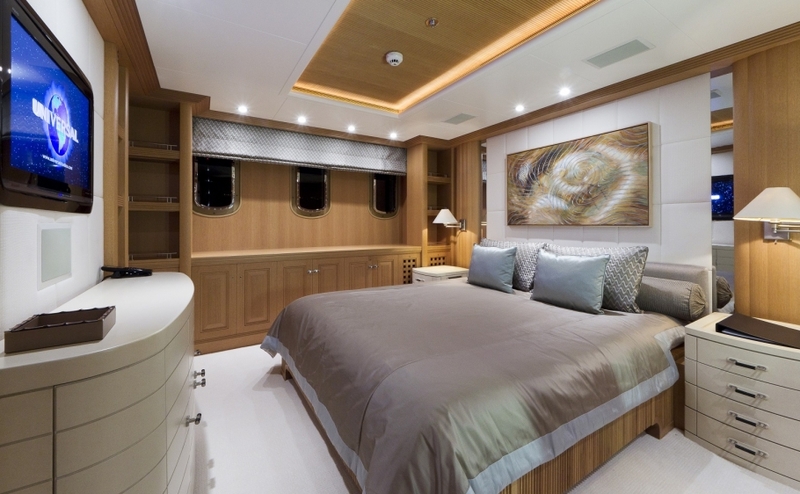 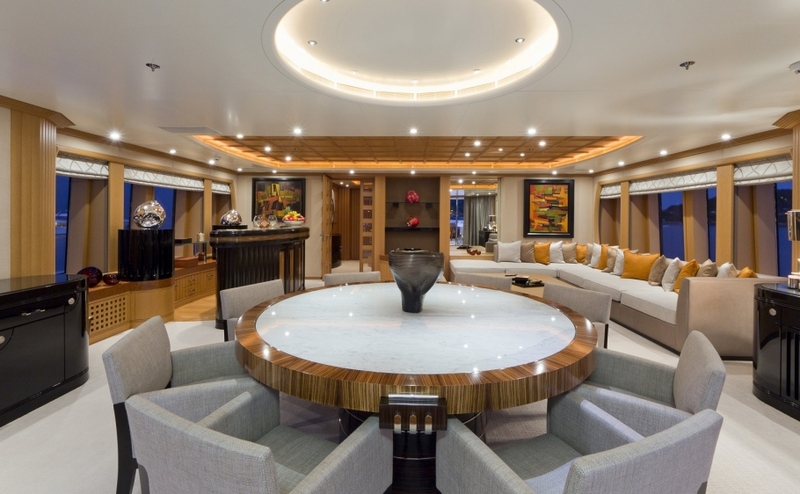 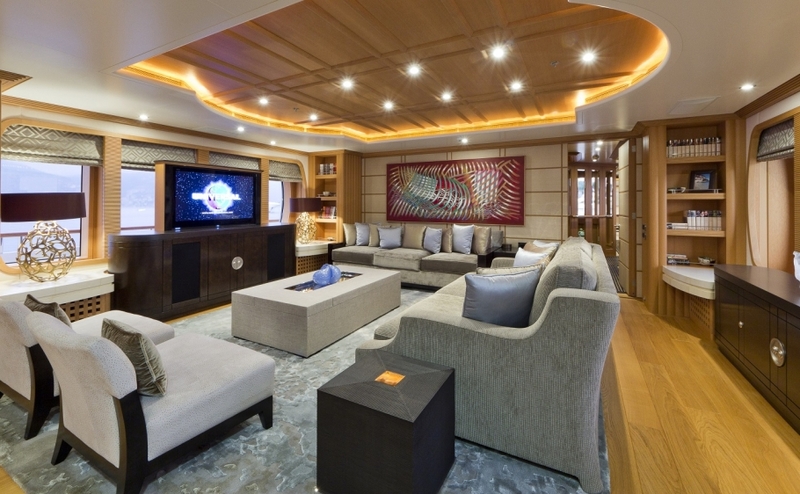 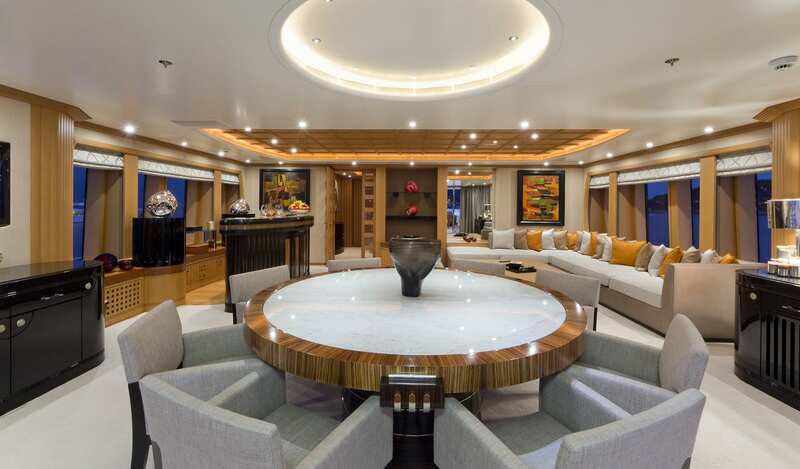 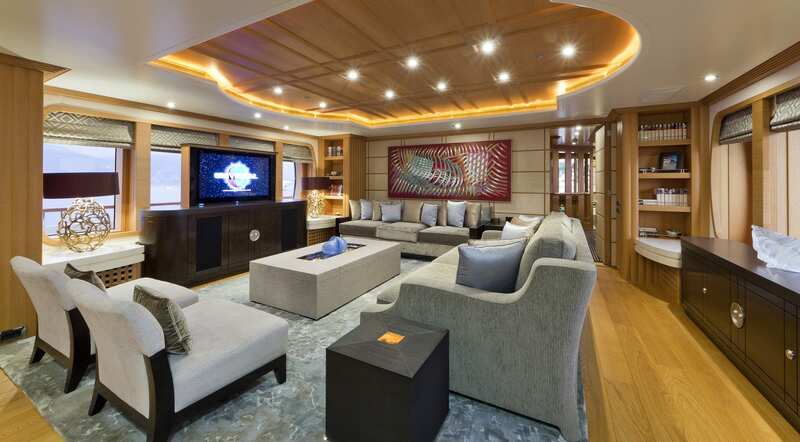 Master Stateroom is located on the main deck with a king size bed, as well as a dressing room and ‘his’ and ‘hers’ ensuite bathrooms and an ensuite louge/study area, neighbouring the Masseuse room. 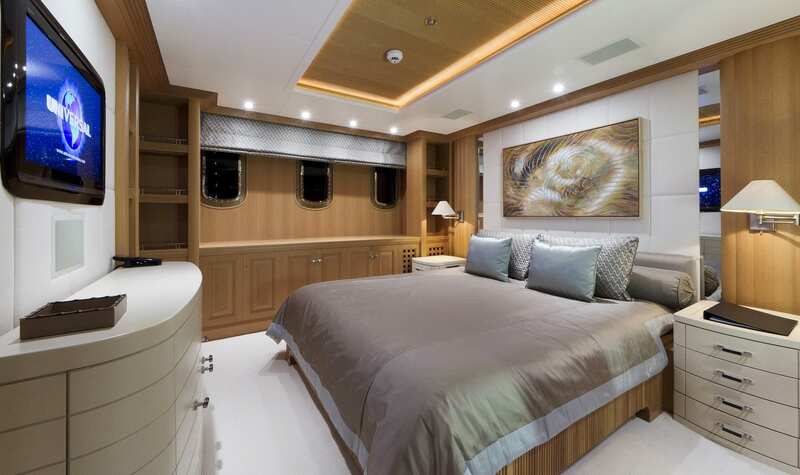 Two twin cabins and two double cabins with ensuite shower rooms.